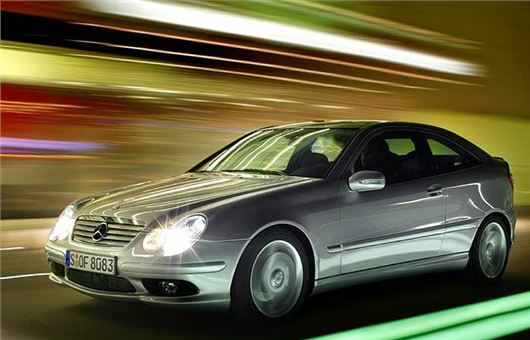 I have a 2003 Mercedes C220 CDI coupe, diesel with 130,000 miles, which has been well maintained. I am now thinking of replacing the car due to the proposed charges for older diesel vehicles and suggested expansion of the London low emission zone to include the North and South circular road. My new vehicle must have a firm ride, most cars the ride is too soft for me, automatic gearbox, with AWD or 4WD to cope with getting traction in any icy weather we have, though does not need to have complete off road ability, parking sensors or all around camera and a similar performance drive to my current car. I am unable to have an electric charging point installed at home, with the lack of chargers around the country, the time you have to allow to charge whilst out and the thought of having to work out if you have enough charge in the car on longer journeys, would seem to rule out an electric car. Can you advise whether it is better to go for the new Diesel engines, Petrol or hybrid and can you recommend anything? A hybrid makes the most sense. KIA Niro, Toyota Auris HSD (most Auris are hybrids), Toyota Prius, etc. They ride harder and handle better on the 17-inch wheel option with 45 profile tyres, but the new Prius Plug-in (from £29,195) is okay on 15-inch wheels. If you can afford, it a reader reports 45mpg from his Mercedes C350e petrol hybrid. My wife and I wish to exchange our 2011/61 Mercedes C250CDI Blue Efficiency AMG Coupe (with 44,000 miles and a full Mercedes Benz service history), for a younger version of the same or similar model - but petrol-engined with less than 10,000 miles and an approved dealer service history. The reason for wishing to change fuel type is because of tax hike threats and murmurings that the market for late model, quality used diesel vehicles will disappear - virtually overnight. However the two different Mercedes dealer networks we have spoken with have both said that the chances of finding a similar 'approved used' vehicle specification car, (Sports Edition 125, automatic, sun roof etc., but petrol), in the short/near term to be most likely impossible. This, it seems, is due to the fact that manufacturers are, (or have been), focused on producing diesel engine cars in volume but very few petrol ones. Clearly in light of recent pollutant publicity this is a very sad state of affairs indeed and, in light of the forgoing, we would be extremely grateful if you would suggest an alternative manufacturer for a similar specification vehicle. As an OAP I am after a second-hand seven-seater for transporting grandchildren. I am drawn to a Ford Galaxy, as I had one years ago, or an S-Max . They seem to offer 7 seats is one better than the other? The S-Max looks more sporty. Should I go for petrol given the current debate regarding diesel, and I would need an auto box. The Galaxy is taller so better for passengers but not as good to drive as the S Max. Petrol 1.6 EcoBoos not quite enough. 2.0 chain cam EcoBoost 200 or 240 much better. Comes with wet clutch Powershift transmission. I have a 2005 registered BMW 530d Touring, owned by me from new with 58,000 miles on the clock. I have followed your recommendation of changing the oil and filter every year no matter the mileage. I have looked after the car inside and out and it is immaculate. I have also changed the air and pollen filters and had the brake fluid replaced. The car is seldom used for journeys under 30 miles, more typically 120 miles and has been dry garaged for approximately 90% of its life. The performance is as good as the day I bought it and other than tyres I have not even had to replace a light bulb other than the battery, which was replaced about 3 years ago. It has never failed an MoT, nor had an advisory notice. I have every intention of keeping the vehicle because it is so reliable and essentially the depreciation has now maxed out. Do you have any recommendations as to components that might need attention or any other tips that will enable me to keep it almost as new as it is now? The engine has three timing chains and the tensioners for these chains can give out. If you hear any rattle that isn't the usual diesel rattle you need to get this checked. Eventually the DPF will simply fill up with ash, usually from around 80,000 miles and this can be cleaned out by the Ceramex process. I wonder if you have any views on why people in UK keep their cars for such a short time? It seems that many people are now keeping their car for only 2 years and 20,000 miles, yet modern cars are hardly run-in after 20,000 miles and are as good, or better, then new. I know that in my cars MPG improved over first 25k of driving and although that could be part down to me better understanding the car it must also be part down to the car "loosening up". having lived in the USA for many years people there generally kept their cars for 5 -6 years at least. Okay with the exceptionally low PCP deals around it is tempting but to then go through all the hassle again in less than 24 months to get another vehicle and, who knows what PCP deals will cost then, seems a bit like masochism to me! You put your finger on it. The reason is PCPs that last for 2 or 3 years and, in fact, more private individuals have their cars on PCPs in the USA than actually buy them. They don't "generally kept their cars for 5 -6 years at least". PCPs mean new cars which people like and which are a status symbol, no repair bills, no new tyres or batteries or brakes to buy, and a predictable fixed monthly outgoing. The downside is wriggling out of them if something goes wrong. We have a Nissan Note Tekna petrol auto that’s coming up for 3 years old. We’re thinking of changing it, but not sure what to go for. We want an auto (CVT or perhaps torque converter, but not a dual clutch system like the VW type). We’re not sure whether to wait for the new Micra to come up with a CVT (there’s also hints of a hybrid), or go bigger and buy a nearly new Qashqai: my wife’s been smitten for ages by these. We moved over to the Note from the unlikeable i-shift Honda Jazz, though we’re not impressed with the latest model. Is the Qashqai a good choice, or should we wait for the Micra? Having said that, is there anything else we should go for (we’re fans of Japanese cars, though Hyundais and KIAs get good reviews these days). I’ve even thought of revisiting the previous Jazz version going for the hybrid – though I don’t my wife would be convinced? The new Micra has Renault engines, so may also adopt Renault's EDC 'Efficient Dual Clutch' auto that has been okay so far. You should probably take a look at a Suzuki Baleno 1.0 BoosterJet auto, that has an excellent 6-speed torque converter auto. Or a Mazda 2 1.5 that also comes with an excellent 6-speed torque converter auto. The KIA Venga and Hyundai ix20 are now old models but small and tall and still make a lot of sense. The autos are 4-speed torque converter. I have received a Notice of Intended Prosecution that refers to a north bound location on the M6 when I was on the south bound at that time and date. Your advice would be appreciated. You don't get off on technicalities like that these days. I thought you might be interested in my experience running a KIA Venga 6-speed auto for the last 12 months. Mileage has only been around 6,000 miles - with perhaps 70% of that mileage being A-road and local runs. I've found the car also drives well on the motorway – comfortable and smooth and the road noise is restrained. The new DCT auto has worked well, in some instances perhaps not as smooth as a torque convertor box, but we’ve experienced no problems with it and no delays when pulling away. My main criticism of the car is the ride is far firmer than I remember when I test drove a 6-speed auto Venga to the extent I now wonder if the test car was shod with different tyres. Could this make a difference and provide a softer run? What make of tyres would do this? The car is currently on Continentals. The size of the wheels and the profile of the tyres will make a difference. 15-inch wheels will have deeper profile tyres than 16-inch wheels. Whatever, you could try lower pressures. Try 30PSI all round cold pressures. They will rise to about 33PSI in use, but if the tyres are at 34PSI cold, they will rise to 37PSI in use and that will give a harder ride. What's all this issue over vw dual clutch , I have had 3 now all did 70k and not one went wrong.